The 7.8 earthquake that struck Nepal on 25 April 2015 killed over 8800, injured more than 21,000, and destroyed the homes of 3.5 million people. Despite over three years having passed since this disaster, rebuilding and recovery has been painfully slow and severe humanitarian crises continue to grip the country. This was the motivation for us to launch NERF as a charity in 2015 and the reason we continue to lead sponsored treks to raise funds for the people of Nepal. 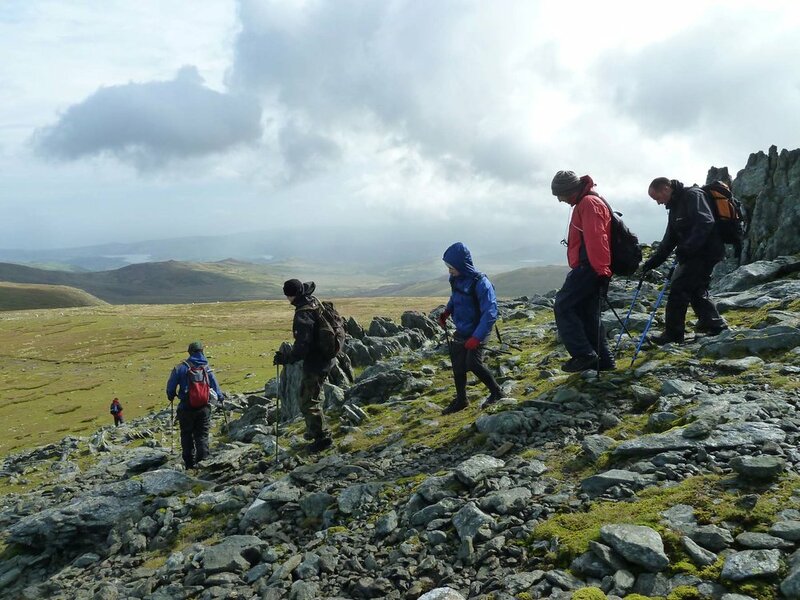 Our newest fundraising trekking challenge is the UK National THREE PEAKS CHALLENGE which we will be attempting on Saturday 3 August 2019 (see below for more details). 100% of the funds you raise in sponsorship for this will be put towards helping rebuild the villages and livelihoods of the Nepalese families and communities most in need. All the intrepid individuals who take on this huge challenge will be asked to raise £500 of sponsorship money before the end of July 2019. We have made this as easy as possible by enabling Facebook Fundraiser tools which means that trekkers can do their fundraising directly through Facebook. There are other options for fundraising too (e.g. GoFundMe) but our personal preference is Facebook because we receive the funds directly and very transparently and quickly. Just ask james@nerfinternational.org for further instructions when you are ready to set up your fundraising page. Snowdon / Yr Wyddfa (1,085 m or 3,560 ft), the highest mountain in Wales. We will be on an Organised Tour with Three Peaks Challenge Ltd and will be tackling the mountains in order from North to South. Beginning from Fort William in Scotland early on Saturday morning with a trek up nearby Ben Nevis. Scafell Pike will be completed later that night and the climb of Snowdon in Wales will be finished in the early hours of Sunday morning. In order to complete the challenge in 24 hours we will need to finish Ben Nevis in around 5.5 hours, Scafell Pike in 4.5 hours and Snowdon in 4 hours. The standard for measuring your official total time on the event is mountain time plus a fixed 10 hour drive time. 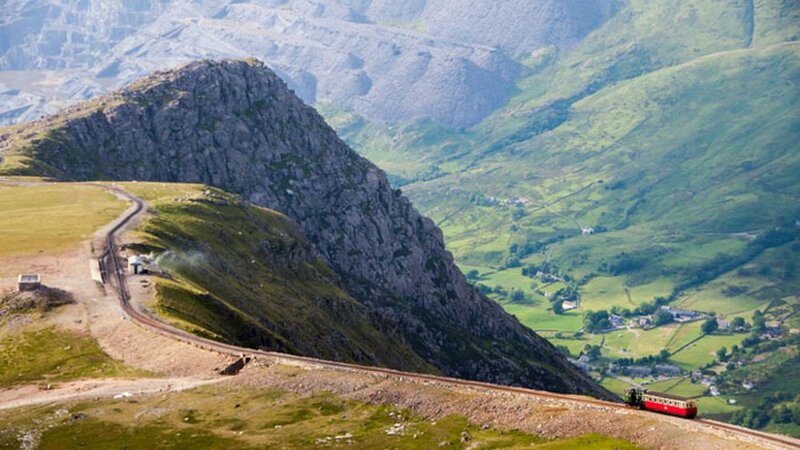 The challenge is supported by qualified mountain leaders and a professional driver will be with us all of the way. The team leading the experience will do everything they can to get you through the challenge as quickly as possible. The full cost to partake in this organised challenge is £329. A £66 deposit is required to reserve your place. In order to secure a spot, all you need to do is email to james@nerfinternational.org to arrange payment of your deposit. The remaining payment of £263 then needs to be cleared eight weeks before the event (so by 8 June 2019). Space is very limited for this excursion as the date is fully sold out now apart from the remaining five places that we have secured. This is an extremely popular challenge and once our allocation fills up, there are no more places! As such, we strongly recommend you reserve your place immediately to avoid disappointment and join our growing NERF team taking on the challenge. We will be taking part in an ‘Open Event’ as part of a larger group of individuals attempting the challenge. We will travel and walk in groups of about ten, each led by a mountain guide - so you can stay with the rest of the NERF trekking group, although it is best to be in a group with individuals of similar levels of fitness. The event will officially begin at 8am at Fort William station on Saturday 3 August, so we suggest arriving in town the day before. After finishing the challenge on Sunday morning, transfers to Chester railway station are included from where you can take your onward travel home. Arrive at Snowdon and begin ascent, sunrise from summit! 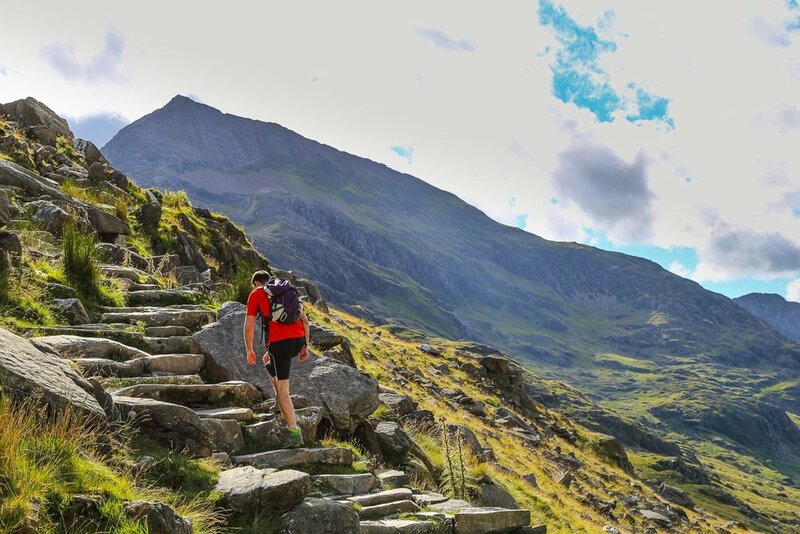 Complete descent of Snowdon and finish the challenge! The easiest way to get to Fort William from outside Scotland is via Glasgow. There are three daily train services from Glasgow to Fort William, the latest leaving Glasgow Queen Street at 18:21, arriving into Fort William at 22:09. An advance single fare for this route costs about £14. 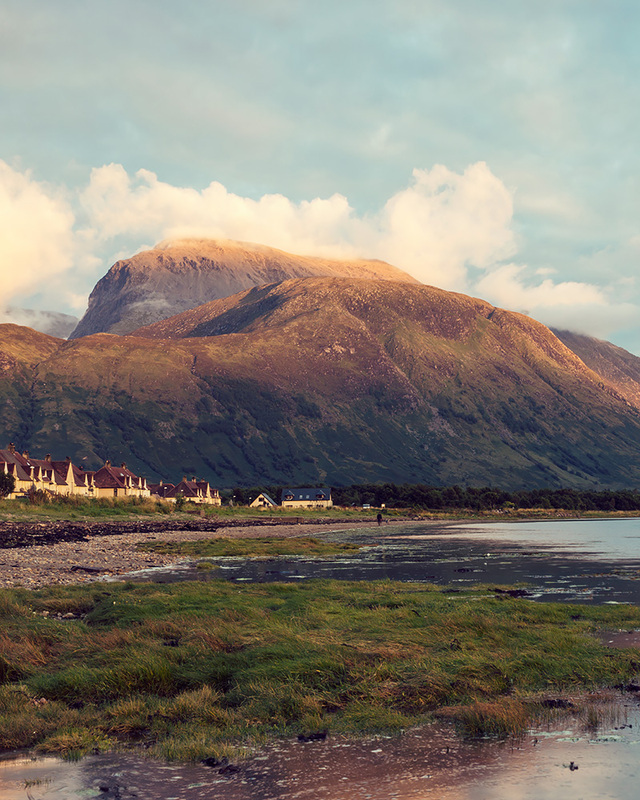 There are numerous flight options from London (Luton, Gatwick & Heathrow) on Friday 2 August that would get you to Glasgow in plenty of time for the last train to Fort William. Book in advance and you can find one way flight prices for about £50. There is also one direct Friday flight from Cardiff to Glasgow, which arrives in plenty of time (12:00 midday) and also costs about £50. We recommend using Skyscanner to find the best flight options for you. There is a regular shuttle bus every 12 minutes that goes from Glasgow Airport to Glasgow Queen Street - taking about 30 minutes and costing £8 for an adult single. For those who want to avoid flying, there are two daily train services that go from London to Fort William (with two changes) leaving at 06:00 and 12:30. The journey takes about 10 hours and the cost of an advance single fare is about £150. Drop off at Chester Railway Station after the challenge is completed is included in the price. Chester is a historical Roman city in the Northwest of England - well worth exploring if you fancy some R&R for a day or two after the previous 24 hours exertions! Train links with the rest of the UK are very good - with easy connections to London (2-3 hours, from £35), Manchester (1-1.5 hours, from £6), Cardiff (3-3.5 hours, from £30), Edinburgh (3-4 hours, from £43). You can also get back to Glasgow via train in about 3.5 hours from £31 - which gives you the option of doing a return flight from Glasgow back to wherever you originally flew in from. We recommend using Trainline to find the best rail options for you. Remember, we will be finishing on a Sunday morning and UK trains can be a bit slower and less reliable on this traditional ‘day of rest’, so it might be worth considering at least one night in Chester. We have an early start in Fort William on Saturday morning so you will likely need accommodation in the town for the Friday night. There are options to fit all budgets - whether you just need a spot to crash in a dormitory, or you’d rather a bit more privacy/comfort. 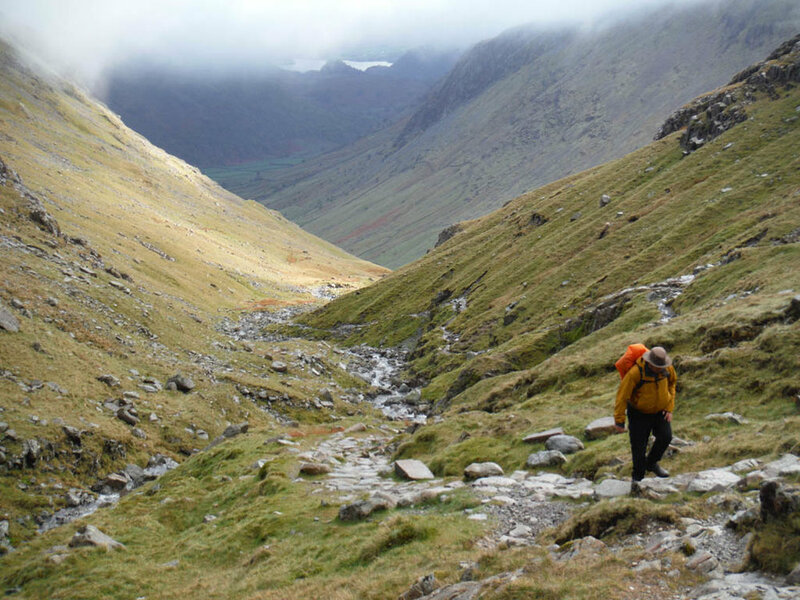 You can find direct links to a variety of options recommended by the Three Peaks Challenge company here. If you’d like to search for yourself, we recommended using Booking.com and Hostelworld to find the best prices for a wide range of accommodation. A cursory search brings up dorm bed options priced from £20/night and private rooms from £70/night. A couple of things to consider when you are looking at accommodation options: We will be meeting near Fort William Railway Station at 8am on Saturday morning to begin the challenge, so try to find somewhere conveniently located for that. You will only get the chance to sleep during the drives between mountains for the following 24 hours, so it is important to choose somewhere you can get a good night’s sleep on Friday (maybe avoid dorms if you are a light sleeper). Accommodation will sell out - so get yours booked quickly! You can download a detailed recommended kit list by clicking here. Please pay attention in particular to the items marked as Mandatory. We will provide more information about the extra food you need to bring nearer the time. 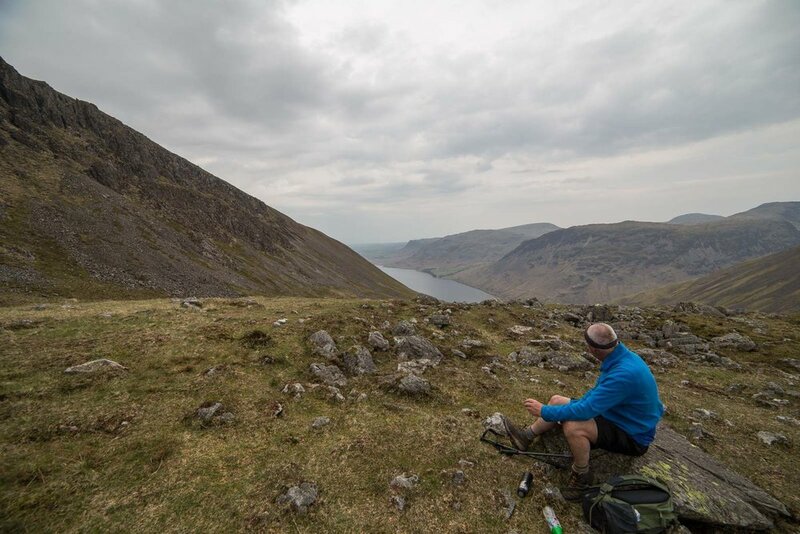 If you have any questions at all about the NERF UK National Three Peaks Challenge, please don’t hesitate to contact our Charity Trustee, James Tennet - james@nerfinternational.org.